It's been a long wait. But the time has come. The Vale: Book Two - Beyond the Vale is here! It's the holidays! Huzzah! So for the next week, each book in the Dragonvein series will be on sale for 99¢. That's the entire series for less than $5. And if you're a fan of audio books, #1, #4, #5 are whispersync enabled. My agent had submitted several times to the Big Five, without success. I was perfectly satisfied with my achievements as an indie, but the game was changing, and I was rapidly facing the possibility of fading away into obscurity. New indie talent was emerging, and they were hungry, energetic, and motivated. I’d been working at a feverish pace for seven years, and I’m not ashamed to say I was running low on steam. This new class of indies half my age could produce at a rate I simply could not keep up with. And their facility with social networking made me a horse and carriage to their self-driven car. I decided that perhaps it was time to try something new with my stories, so I wrote The Vale, which is based on the tropes, plotting, and pace of RPG’s like Final Fantasy and Tales Of. I was aware of GameLit and LitRPG, but this was different in the sense that it read like a novelization of a game – no stats, no being sucked into the game world, no other criteria placed on the genre by its fans. I landed a substantial audio deal for the series, which basically crushed my chances to sell it to the Big Five. Still, my agent thought it was worth a shot. As expected, they weren’t interested. However, an editor over at Tor (Macmillan) read it and liked it very much. And while unable to make an offer, asked that they be given first look at my next project. That alone sent me over the moon. By the way, I saw the lunar lander while I was up there. Take that, conspiracy theorists! I had a mountain of work to do, but I didn’t want to waste the opportunity. I had a new series in the beginning stages saved in a file, so I banged out the first few chapters along with a synopsis. Tor took a quick look and replied by saying that the complexity of the world was too much to make a decision without a complete manuscript. So, defeated, I went back to my indie work and plodded on, forgetting all about Tor, the book, and transitioning to traditional publishing. Yeah, right! This is Tor we’re talking about. As a kid, most of the books I read came from Ballentine, Del Rey, or Tor. Becoming a Tor author would be the fulfillment of a childhood fantasy. So I shoved everything else aside and worked like my life depended on it. After about eight weeks, The Bard’s Blade was finished. BEA (BookExpo America) was about a month away, and my agent contacted Tor, offering an exclusive look before shopping it to other publishers while she was in New York. Now, here’s where it gets weird…in a good way. For anyone who has been through the submission process, you know how mind-numbingly, soul-suckingly, nail-bitingly long an ordeal it is. Aspiring writers can spend years finding an agent just to spend years more submitting to publishers. Tor seemed excited to read it and told us that they would have an answer ahead of the convention. While I wanted to believe this, I fully expected to hear back from them saying they couldn’t make a decision within the allotted time frame. I had mentally prepared for this likelihood so as not to drive myself nuts checking my inbox every five minutes. Not only to my disbelief but to that of every traditionally published writer I know, this isn’t what happened. Tor received the manuscript on a Friday; on Monday they emailed my agent, stating they were interested and intended to make an offer. That alone had me grinning from ear to ear. I had three numbers in mind. What I would take; what I wanted; and the imaginary number that would not happen. There was, of course, the chance they would come back with a lowball figure that I would be forced to reject. That was the nightmare scenario. To turn down an offer from Tor would haunt me for the rest of my life. But my astonishment increased when Wednesday arrived and my agent received a deal memo. It was to the dollar what I wanted. Sure, there was some tweaking pertaining to rights, but overall, I could not have expected better. It took a full day for me to absorb what had happened. Once the contracts were signed, it was time for me to come to the realization that experienced as I was in the indie world, I had a lot to learn about working on a Big Five publication. To her credit as both a person and a professional, Lindsey Hall, Senior Editor at Tor, was understanding, and she bent over backwards to help me acclimate to new procedures and expectations. She was always available to talk and responded to my questions, no matter how silly. After seven years of indie work, I’d ironed out a method of production that worked well for me. There is the first draft, of course, where I give little consideration to prose. This is for getting down the plot and fleshing out the characters. The second draft smooths out some of the rough edges. Then, depending on deadline constraints, one of two things happens. One: If pressed for time, the manuscript goes to my editor, with whom I’ve been working for five years. He knows my style intimately and can make additions and adjustment so close to the way I would write I can’t even pick them out. Or two: A third pass where I give it polish and pay close attention to detail. From there, I send it to my first editor. Once I have it back, I give it a read through, then send it to my copy/line editor and proofreader. She’s fast, and has it back to me in a few days or a week at most. After another final read, I format it and then upload the manuscript to the online platforms. During this period, I’m working with cover artists and interior designers for the paperback edition. I’m also busy on my social networking sites, getting the word out and prepping fans for the release. The details are many, and would take a book unto itself to explain. But from writing the first page to publication, I can produce a full length 100,000 word novel in roughly 4-5 months. On the traditional front, though, things move at a different pace. The Bard’s Blade is not slated for release until January 2020. So the first thing I had to learn was patience. An indie making the transition must understand that this is not just a business – it’s a BIG business, with entire departments dedicated to aspects of publishing that an indie manages alone. Where I was the shot caller, now there were committees. Where I could make a choice and then act on it instantly, now even the discussions about making the decisions were scheduled months in advance. But this was not what had me screaming at my computer. Switching to traditional publishing meant I was giving up the total dominion I’ve enjoyed over the content of my work. I was not the only one invested in the story and concerned about how it would be received by fans. There are good reasons editors pick some books and pass on others. They are there to pick winners. The books with which they are associated are closely watched by their superiors and the industry at large. How long will an editor keep their job after too many flops? In other words, my success is in a real way tied to my editor’s. Knowing this did not make it any easier when I received the first round of revisions. Holy moly! I sat at my desk in a stupor for…I’m not sure how long. From my perspective, the entire book needed to be rewritten. Whole chapters – gone. New chapters needed. Even my beloved pointy-eared elf-like people were to be eliminated. It…it was…genocide! It was also as close as I came to refusing to go along with it. But in the end, I set aside my ego and made the changes. And that’s really what it takes. When you make a success out of any endeavor, like I had with indie publishing, you begin to think you possess insights that you do not. You’re surrounded by people looking to you for answers on how they too can sell thousands of books and quit their day job. It makes you feel important; wise. Your association with other authors and the conversations you have can trick you into thinking it’s given you even greater perspective. But until you have experienced the pride-killing blow of being wrong about your own work; yelled at the comment box only to lose the imaginary argument; then looked at the end result of what you did (were forced to do) and grudgingly admitted how much better it turned out, you really can’t know what it’s like. That’s not to say my skill sets learned as an indie were wasted. I work fast as a necessity. When given a month, I’d only need a few days. When plot issues arose, I was three steps ahead with solutions. And it wasn’t as if Lindsey took over the book and changed what it was about. It felt a bit like that in the beginning, granted, but that was just a visceral reaction, like when an only child has to share a toy for the first time with a new sibling. I was still the one creating the plot points, shaping the characters, building the world. But now I had someone helping me stay on track who could see what I was too close to notice. I’m still putting out indie books, and will be for some time. Tor, surprisingly, has encouraged this. But I intend to slow my pace considerably. Three novels a year for seven years has taken a toll. Now, thanks to Tor, I’m carrying more tools in the bag, and it’s making it easier for me to move forward. There’s still so much to learn; curtains to be pulled back. And for the first time in a while, I’m eager to find out what’s next. It’s 2011, and I’m sitting in my living room, staring through the window, driving myself insane with an anticipation I haven’t felt since I was a small boy on Christmas Eve. Every vehicle that passes that is not a delivery truck fuels my frustration. It’s already 7 PM. They promised it would come today, and there’s only one hour left. But important deliveries are like a watched pot that never boils until you look away. I get up and go to the kitchen. But there’s nothing in there that I really want. I can’t eat. Still I rummage around and pull out a jar of bread and butter pickles I bought a week prior and had forgotten about. I consider making a sandwich. Butter pickles do taste great on a ham and cheese. At the high-pitched squeal of breaks, I shove the jar back inside the refrigerator and run to the window. The brown truck with its glorious gold lettering parked at the curb makes my heart race, and in moments I’m at the door, beaming a smile, trying not to hop up and down and clap my hands. But I can’t stop myself. I must look ridiculous. But the driver just smiles, precious cargo under one arm, as he approaches. This isn’t the first time he’s made a delivery to someone like me – someone bursting with anticipation over what he’s bringing. He hands me the box, apologizing, albeit unconvincingly, for arriving so late. But he’s here, so he’s forgiven. The wait is over. I tear the box open before I’ve reached the living room to reveal what I have worked so very hard to see. There it is, in all its magnificent glory: my first novel. It has been available in Kindle format for a week or so, and I was truly excited when I saw it online. But this…this is different. This is tangible. A real book. To this day, I remember what the pages smelled like; the way it felt in my hands. I’ve had several memorable experiences throughout my career as a novelist, but this was the one I remember in the most vivid detail. I knew so little then about what was in store for me. We only had one car, and I worked nights. I would walk to the bagel shop three blocks away and daydream about what life would be like once the world discovered the brilliance of my work. Yeah. I know how that sounds. But it was my daydream. So I got to be brilliant in it. Of course, dreams are just that…dreams. They’re not real. And I was soon to learn this in ways I never expected. I’ll not bore you with every moment of my indie career. Seven years of ups and downs, successes and failures, joys and sorrows, would take a novel unto itself to recount. Indie publishing was in its infancy. There were few resources, and those available were often prohibitively expensive. Simply finding cover art was a nightmare. And the stigma attached to being an indie author hung on us like a stink. We were the poor cousins of literature, not good enough to be taken seriously by the Big Six publishers (this was before Penguin and Random House merged). We were considered a bunch of hacks spitting out trash and taking attention away from more deserving authors who had gone through the proper channels and adhered to the traditional process. How dare we bypass the gatekeepers? Who did we think we were? I recall the spiteful articles. We did our best to ignore them, but it was hard not to get angry when you read in a major publication that what you did was not only laughable, but a stain on the literary community. It didn’t feel that way to us. And it certainly didn’t feel that way to our fans. In the end, in fact, it was the fans who kept us alive. They decided indie was going to stick around. They became the ultimate gatekeepers. And the world of traditional publishing hated us even more for it. They shut us out at every opportunity. But by that time, we no longer cared. Hundreds of independent authors were making a fine living producing books at a rate traditional publishing simply could not match. New industries were popping up to fill the growing need for quality covers, editing and marketing. Not to say it was without its dark side. With the good comes the bad. Scammers preying on the hopes and dreams of indie authors swarmed like gnats. Jerks who used underhanded methods to cheat the system for a quick buck wormed around, giving credence to our detractors. And there were plenty of writers who thought indie to be an easy path to fame and fortune. They didn’t understand that success takes hard work, regardless of the path you choose. Many of these issues still exist. There will always be scammers. And there will always be someone out there who thinks they can find away around hard work. It’s not like the traditional world didn’t have some valid complaints. With platforms available where anyone with a manuscript can shove it up on Amazon without having put it through any sort of editing or proofreading process, the quality – and therefore the reputation – of indie frequently suffers. But much has changed. Traditional publishing has come to realize indie isn’t going anywhere. More than that, they have discovered that there are those among us deserving their consideration. There is genuine talent producing indie work – an entire pool of writers to draw from, with a pre-existing fan base, who work hard, understand the industry, and are willing to do whatever it takes to further their career. Where once the mention of the word “indie” sent their blood boiling, now publishers pause and take a look. It will be interesting to see where this ends up. As I make my slow transition from indie to traditional, I feel excited. Not as excited as I did when I received my first book. But you only fall in love for the first time once. Nothing ever feels that way again. And that’s all right. I don’t mind. There’s so much more to come; and as when indie first emerged as a force in the literary world, I get to see it as it happens. I have the privilege of being part of a brand new era. So I guess there’s only one thing to do now. What is woo-woo? I know you didn’t ask, but I’ll tell you anyway. Woo-woo is a statement or assertion based on supernatural or pseudo-scientific beliefs. Renowned skeptic, Michael Shermer, describes the words of Deepak Chopra as woo-woo. And if you watch their debates you can see why. However, I don’t think it has been applied to opinions on writing. But having read Jonathan Franzen’s 10 rules for novelists, I was inspired to offer an additional meaning for your consideration. Def: 1. (slang) noun. Nonsensical writing advice, presented as objective truth, based on nothing more substantial than personal beliefs, emotions, and an overall need to feel special and clever. Too much wine and an overblown ego can dramatically increase the volume of woo-woo produced. Def: 2 (slang) verb. When a writer is deliberately vague to appear intelligent and insightful. As with definition #1 wine and ego are common factors. There you have it. Writer’s woo-woo as defined by yours truly. You may or may not agree, but that’s fine. I’m often wrong. You’ll need to be the judge. So without further ado, I give you (drum roll) writer’s woo-woo as represented by Jonathan Franzen. And we kick it off with a healthy dose of woo-woo. This is meant to sound as if he has some mystical bond with the reader; some insight beyond the understanding of mere mortals. It screams, I’m wise! I’m clever! I possess a level of comprehension that surpasses the reach of the common rabble. To which I say: whatever, dude. This particular woo-woo is meant to give you the impression that a “real” writer writes for the sheer joy of the experience with no regard for financial considerations. While I agree that you should write what you love, and the expectation of vast riches when becoming and author is ill-advised, there is nothing wrong with paying the bills. You are not a sell-out because you make money. And you are not an artist because you don’t. I read this woo-woo, then I laughed. Use the word that fits. There is no “right” way. Prose is not an immovable obelisk. It’s fluid. If “then” fits, use it. Ah, yes. I remember this from creative writing class. The absolutes and objective facts the instructor pretended to know and would spout off as gospel. It’s pure BS. That said, I refer you to my previous response. There is no “right” way. Craft your story however you want. Not sure what he’s driving at with this woo-woo. Because information is freely available, it’s worthless? Or because information is available to the common clods, research is meaningless? Ugh! This is woo-woo of the highest order. I’m beginning to think he fancies himself the Deepak Chopra of literature. Admittedly, I haven’t read The Metamorphosis. But I know that saying “Nobody ever wrote a more autobiographical story than The Metamorphosis” as if it’s an objective fact is ludicrous. For me, The Lord of the Rings is the greatest fantasy trilogy of all time. Let me repeat that. For me, The Lord of the Rings is the greatest fantasy trilogy of all time. This woo-woo is vague and meant to seem wise and introspective. Sounds to me like something you would read in a fortune cookie. I did look it up to be sure. It’s his own quote, presumably from one of his books. I guess he really liked it. And from where does your doubt arise? This woo-woo is simply an injection of bias without evidence to support his assertion. I’m beginning to think dude should lay off the wine when he writes on his blog. More woo-woo straight from the mouth of a high school creative writing teacher. Again, use words that fit. And ending with mega woo-woo! He went full Deepak with this one. My advice? I have none to give other than read books that you enjoy. Learn from the authors who write them. And do your best to improve your skills. There isn’t a right way. In the end it’s about finding your way, your voice, and your story. The Vale: Behind the Vale made it! 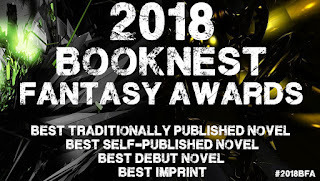 The Vale: Behind the Vale, has made it to the next stage of the Booknest Fantasy book of the year contest. I would like to thank everyone who voted. You are awesome. So....I hope you can be awesome again. I need your to help to the finish line. By that I need another vote. And as I have come this far, I'm feeling saucy. 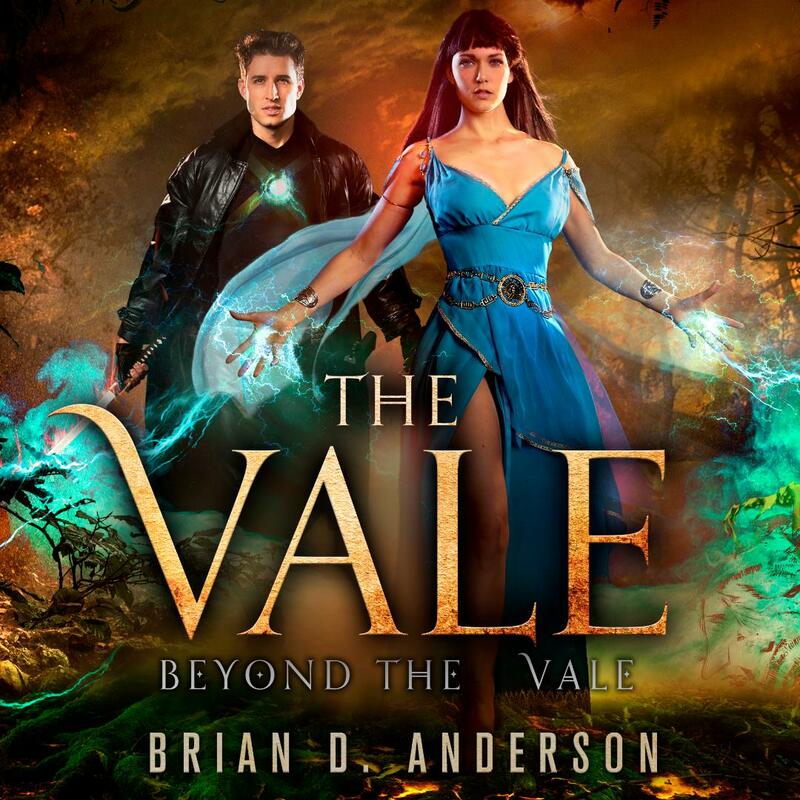 From now until Oct. 19th I'm giving away Free copies of The Vale: Behind the Vale. So just click on the links below. And thanks again. Hi all! 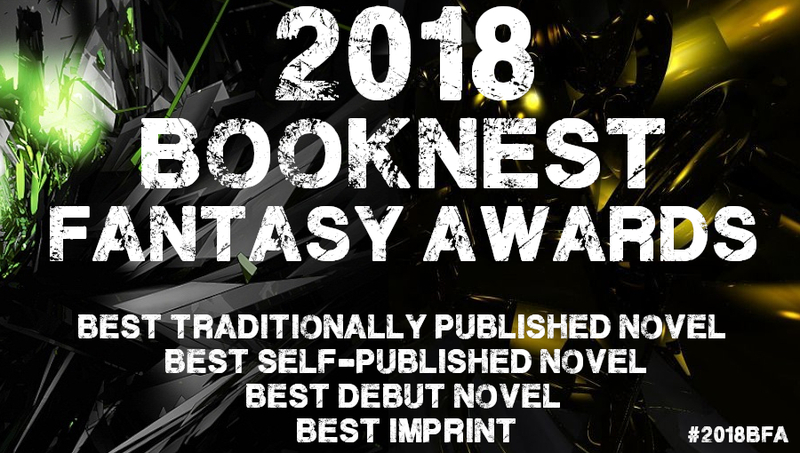 The Vale: Behind the Vale is up for a Booknest Fantasy Award! I hope you will take the time and vote (hopefully for me) in the Self Published category.